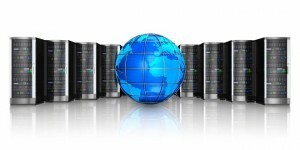 Beginners to experienced web designers need a hosting company that is easy to work with and offers reliable and fast support. We have been in business since 1995 putting websites on the Internet. 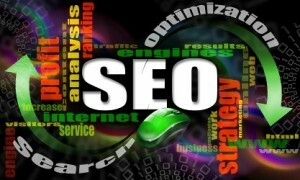 We will put your website online fast and we will be there when you need help. 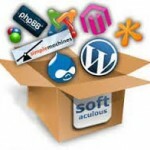 We give you all the options that most websites need to make a very professional site. You do not need ‘add-ons’ (as most companies call them) to design and maintain your site. $59.40 per year! Website and Email plus RV Site Builder! All of our accounts receive RV Site Builder which is an intuitive, point-and-click authoring tool that enables you to build a professional Web presence quickly and easily. Choose either our $4.95 per month email plan or the $8.95 per month basic plan and you will receive help with all your hosting needs. From our easy to use web design tool where you design your own website to our HTML primer to help you learn the basics of hand coding we are committed to getting your website online. As low as $4.95 per month for our email hosting plan! Many clients are concerned with email and do not need a huge website. With our email hosting plan you can set up email accounts and also have a website online. Why not learn the basics while paying only $4.95 per month and change to our larger option if needed? Uptime and the ability to use your scripts easily are what interest most experienced web designers. Our uptime is consistently at the top of all hosting companies with over a 99.9% rating and most domains have never experienced an unscheduled slow down. You will receive Frontpage extensions, your own personal CGI-BIN, PHP, MySQL and ASP. We run UNIX servers with Red Hat Linux! We offer our clients the power and flexibility of one of the most aggressive spam fighting software programs available. We are a proven company that will save you time and money! If you are thinking of getting your first website or if you are a seasoned pro thinking about changing your existing company you may have found a home with MinnesotaShopper.com. We offer a full 100% guarantee for 30 days and an absolute guarantee to refund any money you have paid in advance if you decide to move to another company. Choosing a hosting company is a decision that may either make you relax and not worry about your website or wonder all the time if you can get help with your questions. Email support and personal phone calls to our clients are an everyday occurrence with our support group. If you have a problem it is also our problem. Total Commitment To Our Clients!